Inflatable Fun Jumps offers high quality inflatables at reasonable prices. We have a great selection of inflatable rides to choose from for your event or party. 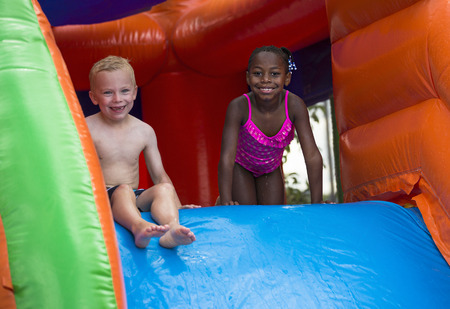 For almost two decades, Inflatable Fun Jumps has been providing inflatable amusement at birthday parties, family reunions, fundraisers, grand openings, weddings, graduation parties and fairs/festivals. We are a family owned and operated party rental business with a great safety record. We have many repeat customers and are friendly and efficient. Both kids and adults love us. :-D Our inflatables are very durable and kid safe. We are fully licensed and insured.